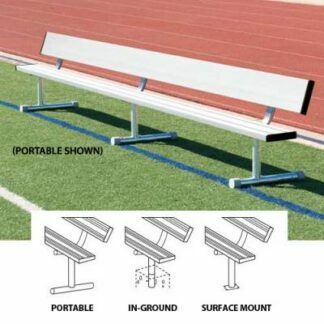 Powder Coated Player’s Bench Without Back for indoor or outdoor sideline use ! 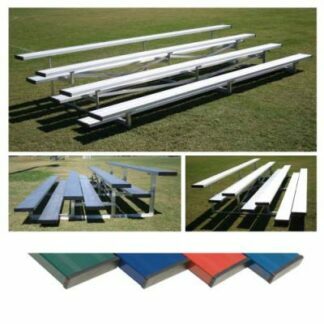 Seat planks are 10″ wide with a ribbed no-slip surface. Planks made of anodized aluminum and will not rub off on clothing. Legsconstructed of heavy duty commercial grade 2-3/8″ O.D. galvanized steel. 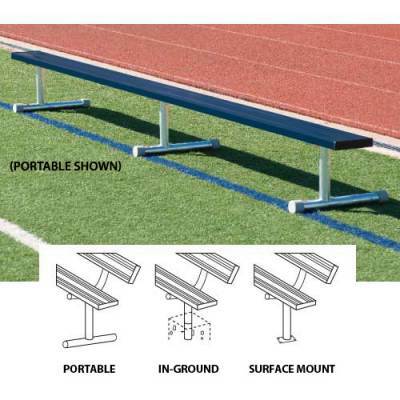 Portable models designed for indoor and outdoor use and come complete with non-marring floor protectors.